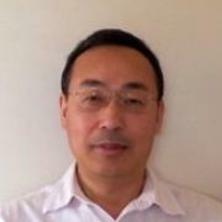 Professor Geoff Wang received his BEng in 1983 and MEng in 1986 and PhD in 1989 from Northeastern University of China and specialized in process metallurgy focusing on iron- and steel-making. He worked in Wuhan Iron and Steel University (currently the Wuhan University of Science and Technology) as Lecturer, Associate Professor and served as Head of the Department of Metallurgy, Director of the Postgraduate School during 1989-1996. He was Board of Directors of Iron-making Branch of the Chinese Society for Metal (CSM). Before joining the University of Queensland in 1996, he was a visiting Professor at the School of Materials Science and Engineering at the University of New South Wales in 1995. He has significantly contributed to the research area of chemical metallurgy, energy and environmental technologies, including coal utilization, ironmaking technology development, coalbed methane development, and carbon dioxide capture and sequestration. Professor Geoff Wang has established strong collaborations with a number of Iron and Steel companies in China and Australia and has extensive links with Baosteel and other Universities and research institutions in China. He is a Guest Professor of China University of Mining and Technology since 2006 and a Visiting Professor of Henan Polytechnic University since 2010. Professor Wang is author of a monograph entitled "Pulverized Coal Injection Technology for Blast Furnaces" and has over 100 original journal publications and about 60 refereed conference papers, included a patent. Zhao, Difei, Guo, Yinghai, Zhu, Yanming, Wang, Geoff, Chong, Xuan and Hu, Xinmeng (2018) Analysis of micro-scale heterogeneity characteristics in marine shale gas reservoir: Pore heterogeneity and its quantitative characterization. Zhongguo Kuangye Daxue Xuebao/Journal of China University of Mining and Technology, 47 2: 296-307. Ye, Qing, Wang, Geoff G.X., Jia, Zhenzhen, Lu, Yi and Zhang, Yadong (2015) Hydraulic flushing technology and its practice in outburst coal seam with high gas and low permeability. Journal of Engineering Science and Technology Review, 8 4: 118-124. Liu, C.-J., Sang ,S.-X., Wang, G.-X. and Rudolph, V. (2010) Simulation experiment on the changes of pore structure in different ranks coals during the CO2 geosequestration. Zhongguo Kuangye Daxue Xuebao, 39 4: 496-503. Wei, XiaoRong, Wang, Geoff G.X., Massarotto, Paul, Golding, Suzanne D. and Rudolph, Victor (2007) A review on recent advances in the numerical simulation for coalbed-methane-recovery process. SPE Reservoir Evaluation and Engineering, 10 6: 657-666. Reply to comments on "Oxidation mechanism of Si3N4-bonded SiC ceramics by CO, CO2 and steam," by Balat et al. Li, Mengran, Garg, Sahil, Ge, Lei, Rufford, Thomas E., Li, Liye, Rudolph, Victor and Wang, Guoxiong (2019). A bird's eye view over the CO2 storage and utilisation technologies. In: The HBIS-UQ ICSS Symposium 2019, Shijiazhuang, China, (). 16-18 January 2019. Rufford, Thomas E., Garg, Sahil , Li, Mengran , Li, Liye , Rudolph, Victor and Wang, Geoff (2018). Electrochemical CO2 reduction for the iron and steel making industry. In: HBIS-Northeastern University International Academic Conference, Shijiazhuang, China, (). 21-22 August 2018. Wang, Geoff, Wei, Xiaorong, An, Hui, Wang, Fu-Yang and Rudolph, Victor (2014). Modeling anisotropic permeability of coal and its effects on coalbed methane reservoir simulation. In: Mohammad S. Obaidat, Janusz Kacprzyk and Tuncer Oren, SIMULTECH 2014: Proceedings of the 4th International Conference on Simulation and Modeling Methodologies, Technologies and Applications. 4th International Conference on Simulation and Modeling Methodologies, Technologies and Applications (SIMULTECH), Vienna, Austria, (477-483). 28-30 August 2014. Liu, Changjiang, Wang, Geoff, Xing, Huilin and Muhlhaus, Hans (2013). Characterizing pore structure of coal under CO2 sequestration conditions. In: Ao, SI, Douglas, C, Grundfest, WS and Burgstone, J, WCECS 2013: Proceedings of the World Congress on Engineering and Computer Science 2013. WCECS 13: World Congress on Engineering and Computer Science 2013, San Francisco, CA, USA, (641-644). 23-25 October, 2013. Xing, Huilin, Gao, Jinfang, Wang, Geoff and Muhlhaus, Hans (2012). Unconventional gas mining: insights from pore to mine scale simulations. In: T. Mares, Eastern Australasian Basins Symposium IV. Fourth Eastern Australasian Basins Symposium and Exhibition (EABS IV), Brisbane, Australia, (1-9). 11–14 September 2012. Wei, X. R., Massarotto, P., Rudolph, V., Golding, S. D. and Wang, Guo-Xiong (2009). Experimental Study on Anisotropic Strain Behaviour of Coal. In: Fu, X. H., Qin, Y., Wang, G. X., Wei, Z. T., Rudolph, V., Zhao, Q. B. and Ye, J. P., The 2009 Asia Pacific Coalbed Methane Symposium. Asia Pacific Coalbed Methane Symposium, Xuzhou, China, (208-217). 24-26 September 2009. Shen, J., Qin, Y., Fu, X. H., Wei, C. T. and Wang, G. X. (2009). The discussions between structure curvature and coalbed methane production parameters of Zaoyuan block of Qinshui Basin. In: X. H. Fu, Y. Qin, G. X. Wang, Z. T. Wei, V. Rudolph, Q. B. Zhao and J. P. Ye, The 2009 Asia Pacific Coalbed Methane Symposium. Asia pacific coalbed methane symposium, Xuzhou, China, (156-161). 24-26 September 2009. Wang, X.T., Wang, G-X., Rudolph, V., Jiao, J.L., Li, D.H. and Huo, L.W. (2008). A field trial on underground coal gasification in Zhong Liang-shan Coal Mine. In: The Dailan University of Technology, Chemical Engineering in Sustainable Development. Chemical Engineering in Sustainable Development, Dailan, China, (1-7). 4-6 August 2008. Wang, G-X., Wei, X.R., Massarotto, P., Rudolph, V., Qin, Y. and Wei, C. (2008). A multi-scale model for CO2 sequestration enhanced coalbed methane recovery. In: The Dailan University of Technology, Chemical Engineering in Sustainable Development. Chemical Engineering in Sustainable Development, Dailan, China, (1-7). 4-6 August 2008. Li, Q., Yu, Y., Jiang, J., Shang, Z., Wang, G-X., Massarotto, P. and Rudolph, V. (2008). CO2 removal by absorption method based on energy integration. In: P. Massarotto, S. D. Golding, X. Fu, C. Wei, G.-X. Wang and V. Rudolph, 2008 Asia Pacific Coalbed Methane Symposium. APCBM 2008 Symposium, Brisbane, Australia, (1-8). 22-24 September 2008. W. Liu, W. N. Low, B. Feng, J. C. Diniz Da Costa and G.-X. Wang (2008). Comparison of calcium oxide sorbents for CO2 capture at high temperature. In: P. Massarotto, S. D. Golding, X. Fu, C. Wei, G.-X. Wang and V. Rudolph, 2008 Asia Pacific Coalbed Methane Symposium. APCBM 2008 Symposium, Brisbane, Australia, (1-4). 22-24 September 2008. Wang, G.-X., Wei, X. R., Massarotto, P. and Rudolph, V. (2008). Fracture permeability of gases under stressed adsorption and desorption in coal. In: P. Massarotto, S. D. Golding, X. Fu, C. Wei, G.-X. Wang and V. Rudolph, 2008 Asia Pacific Coalbed Methane Symposium. APCBM 2008 Symposium, Brisbane, Qld, Australia, (1-10). 22-24 September, 2008. Qin, Y., Wei, C., Wang, G.X., Rudolph, V., Fu, X. and Wu, C. (2008). Fundamental studies and practice for enhanced coalbed methane technologies in China: A review. In: P. Massarotto, S. D. Golding, X. Fu, C. Wei, G.-X. Wang and V. Rudolph, 2008 Asia Pacific Coalbed Methane Symposium. APCBM 2008 Symposium, Brisbane, Australia, (1-31). 22-24 September, 2008. Wang, G-X, Massarotto, P. and Rudolph, V. (2008). Multi-physical phenomena in coal associated with coalbed methane recovery and CO2 geo-sequestration. In: Fan, J. and Chen, H., 2nd International Conference on Heterogeneous Material Mechanics. Advances in Heterogeneous Material Mechanics, China, (395-398). 3-8 June 2008. Wei, X., Wang, G-X., Massarotto, P., Golding, S.D. and Rudolph, V. (2008). Numerical simulation of flue gas injection enhanced methane recovery. In: P. Massarotto, S. D. Golding, X. Fu, C. Wei, G-X. Wang and V. Rudolph, 2008 Asia Pacific Coalbed Methane Symposium. APCBM 2008 Symposium, Brisbane, Qld, Australia, (1-15). 22-24 September, 2008. Wei, X. R., Wang, G. X., Massarotto, P., Golding, S. D. and Rudolph, V. (2007). A dynamic multi-component transport model for CO2 enhanced coalbed methane recovery. In: International Coalbed Methane Symposium 2007, Tuscaloosa, Alabama, U.S.A., (). 23-24 May, 2007. Wang, G. X., Wang, Z. T., Rudolph, V. and Massarotto, P. (2007). Deformation behavior of coal as a composite material and its impacts on permeability in coalbed gas reservoir. In: George C. Sih, Moussa Naït-Abdelaziz and Toan Vu-Khanh, 9th MESO - 2007 International Conference on Mesomechanics. 9th MESO - 2007 International Conference on Mesomechanics, Giens, France, (385-394). 13th-17th May , 2007. Wang, G. X., Wei, X. R., Massarotto, P. and Rudolph, V. (2007). Study of CO2/CH4 Transport in Coal for Co2-enhanced coalbed methane recovery. In: Proceedings, Riso International Energy Conference. International Energy Conference 2007, Riso, Denmark, (). 22-24 May, 2007. Liu, W., Feng, B., Diniz Da Costa, J.C. and Wang, Guo-Xiong (2007). The reactivity of nanoscale calcium oxide particles in calcination and carbonation cycle. In: Xu, X. and Xu, M., 6th International Symposium on Coal Combustion. Proceedings of the 6th International Symposium on Coal Combustion, Wuhan, China, (1-4). 1-4 December, 2007. Wang, G. X., Wang, Z. T., Massarotto, P. and Rudolph, V. (2006). A Heat and Mass Transfer Model for Underground Coal Gasification. In: 11th APCChE (Asian Pacific Confederation of Chemical Engineering) Congress. 11th APCChE (Asian Pacific Confederation of Chemical Engineering) Congress, Kaula Lumpur, Malaysia, (). 27-30 August, 2006. Wei, X, Wang, G, Massarotto, P and Golding, S D (2006). A case study on the numerical simulation of enhanced coalbed methane recovery. In: 2006 SPE Asia Pacific Oil & Gas Conference and Exhibition. 2006 SPE Asia Pacific Oil & Gas Conference and Exhibition, Adelaide, Australia, (1-6). 11-13 September 2006. Wang, G, Wang, Z., Massarotto, P and Rudolph, V (2006). A heat and mass transfer model for underground coal gasification. In: Proceedings of the 11th APCChE Congress 2006. Proceedings of the 11th APCChE Congress 2006, Malaysia, (1-7). 27-30 August 2006. Zhang, Z. X., Wang, G. X. and Rudolph, V (2006). Improvement of Natural Gas Combined Cycle (NGCC) Power Systems by Using Liquefied Natural Gas (LNG)cold Energy. In: 19th International Symposia on Chemical Reaction Engineering (ISCRE19), Potsdam/Berlin, Germany, (). 3-6 September, 2006. Wang, G. X., Qin, Y., Massarotto, P. and Rudolph, V. (2006). Moisture Equilibrated Adsorption and Desorption on Coal. In: 11th APCChE (Asian Pacific Confederation of Chemical Engineering) Congress. 11th APCChE (Asian Pacific Confederation of Chemical Engineering) Congress, Kaula Lumpur, Malaysia, (). 27-30 August 2006. Wang, G, Qin, Y, Massarotto, P and Rudolph, V (2006). Moisture equilibrated sorption of gases on anthracite coals. In: Proceedings of the 11th APCChE Congress 2006. Proceedings of the 11th APCChE Congress 2006, Malaysia, (1-7). 27-30 August 2006. Wang, G. X., Rudolph, V, Wang, Z. T. and Finley, R. J. (2005). A multiphase flow dynamic model of coalbed methane transport and its application. In: Chemeca'05, Brisbane, (). 25-28 September, 2005. Wang, G., Rudolph, V. and Litster, J. D. (2003). Dynamic capture of fine particles under multiphase flow conditions. In: D Nguyen, P Ashman, K Quast and and N Swain, CHEMECA 2003 The 31st Australasian Chemical Engineering Conference Products and Processes for the 21st Century. CHEMCA 2003 Products and Processes for the 21st Century, Adelaide, South Australia, (1-8). 28 September - 1 October 2003. Wang, G., Yang, J.L. and Rudolph, V. (2002). Disposal and Utilization of Iron-bearing Wastes in Steelworks with Pre-reduction Method. In: K.N. Marsh, 9th APPChE Congress and Chemeca 2002. 9th APPChE Congress & Chemeca 2002, Christchurch, (). 29 September - 3rd October. Wang, G., Rudolph, V. and Litster, J. D. (2002). Simulation of Powder Capture in Packed Beds of Coarse Particles. In: Proceedings of 17th International Symposium on Chemical Reaction Engineering. Proceedings of 17th International Symposium on Chemical ReactE, Hong Kong, (). 25-28 August. Wang, G. X., Rudolph, V and Litster, J. D. (2000). Numerical Simulation of Granular Flow under Gravity Using Discrete Treatment. In: Proceedings of 3rd Joint China/USA Chemical Engineering Conference. Third Joint China/USA Chemical Engineering Conference, Beijing, China, (20-28). 25-28 September. Schlossmann, J, Ammendola, A, Ashman, K, Huber, A, Neubauer, G, Wang, GX, Korth, M, Wilm, M, Hofmann, F and Ruth, P (2000). Regulation of intracellular calcium by a signaling complex of IRAG, IP3 receptor and cGMP kinase. In: Biophysical Journal. , , (314A-314A). .
Wang, G. X. and Litster, J. D. (1999). A predictor model for evaluating pulverized coal injection in blast furnaces. In: 58th Ironmaking Conference Proceedings. 58th Ironmaking Conference Proceedings, Illinois, USA, (455-465). 21-24 March.